Ryan Seacrest will present new game show The Million Second Quiz, which will air in the US over 12 nights in September. 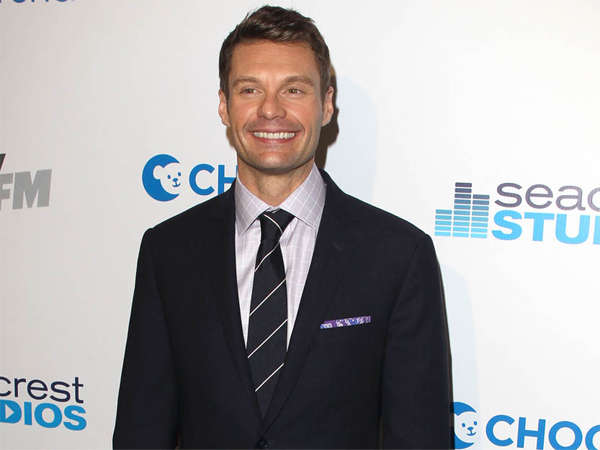 Ryan Seacrest will host new game show The Million Second Quiz. The American Idol presenter has signed up to host and executive produce NBC's new live show, which will broadcast from inside a giant hourglass built outside the Rockefeller Centre in New York City over 12 nights in September. According to NBC, "The Million Second Quiz is a state-of-the-art, electrifying new live competition where contestants test the limits of their knowledge, nerves and endurance as they battle each other in intense bouts of trivia for 12 consecutive days and nights. When the million seconds draw to a close, the champions will battle it out and the ultimate winner could claim the largest prize in game-show history. "The four players who have remained in the game the longest will stay in the hourglass, where they will have the opportunity to play along with the game for up to two weeks as other contestants attempt to unseat them." "The show will be the first fully convergent television experience, where viewers from all across America will be able to play along at home in sync with the game 24 hours a day and get the chance to appear on the show."